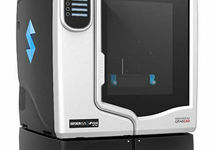 Powered by Stratasys Fused Deposition Modeling (FDM) Technology, and builds accurate functional concept models, rapid prototypes, and product mockups in ABSplus thermoplastic. 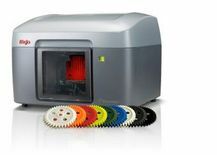 QuickPack Print Engines contain the model and support materials that build your 3D printed parts. 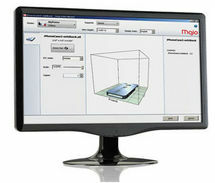 With every material change, the Mojo Print Engine installs a fresh print head to ensure optimum print quality. 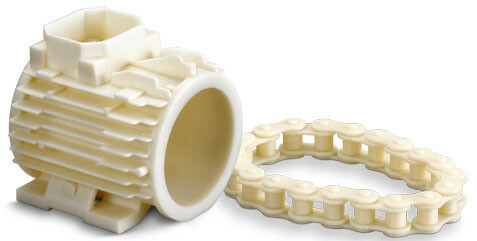 The snap-in print head is also easy to use and fast to change. Each foil bag contains 80 cubic inches of material, which means fewer material changes and more uninterrupted printing. Modeling bases provide a smooth surface on which your models are printed. 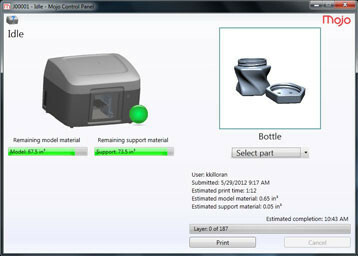 Once printing is done, you simply take the modeling base out of the printer and remove your model. Modeling bases are also recyclable. WaveWash 55 is a compact, easy-to-use support cleaning system. The WaveWash 55 lets you quickly remove support material hands-free. The Mojo 3D Printer uses Soluble Support Technology (SST) so that the support material dissolves away in a water-based solution. You just pop your completed concept model off the modeling base and place it in the WaveWash 55. Your WaveWash 55 maintains the right solution temperature and agitation for efficient support removal. No plumbing required!